This was my first A race of the year. 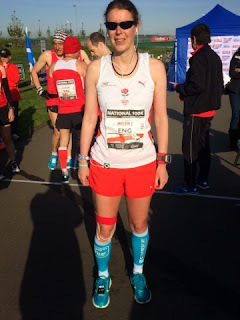 As it was just 3 weeks after the London marathon by the time I had recovered from London it was time to taper for this so I got to the start feeling like it had been ages since I had done any decent mileage, at least I was well rested. My last hard sessions was a 10km track race 10 days before where I set a PB of 39.29 (knocking almost 2 mins off my previous best) so I was feeling in good shape. ﻿﻿﻿﻿﻿﻿The course was 48 laps of just over 2km round a cycle park so nice smooth tarmac and a wide course BUT it had a hill. I knew about the hill so had been doing more hills in training but knew that a few months was never going to be enough compared to others who run hills all the time and have done for years but I did the best I could bearing I mind I get injured if I do too many hills. Arrived just after 7am for the 8am start. We had 3 tables for the England team so loads of space for all my food/drinks - high5; coke; water; 9bars; powerbars; bananas; Jaffa cakes; funsize cruchie; coconut mushrooms and gels. As always I had far too much but you never know what you want in such long races. 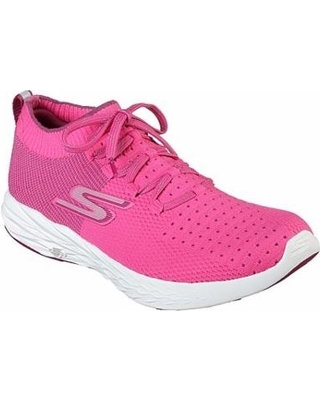 I was wearing Skechers Gorunride 3 but had a pair of ultras to change into incase I felt I needed more cushioning and another pair of Gorunride incase it rained. 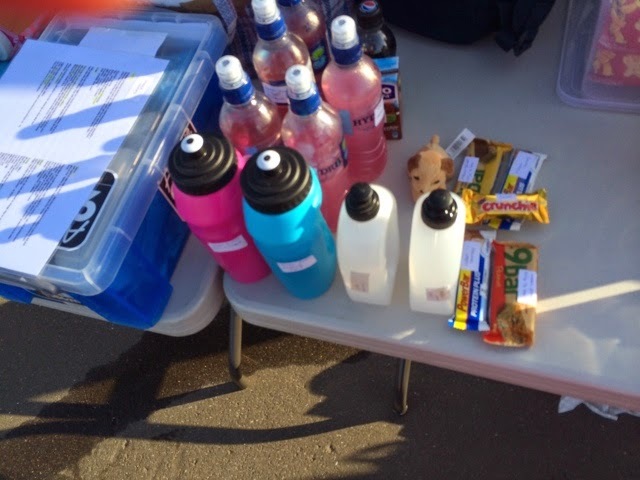 Although I carry a bottle on training runs I prefer not to and since it was only a 2km loop I decided on a new system which I have seen others using - grab drink, have a few mouthfuls, drop bottle, Phil pick up bottle to reuse. I had about 10 bottles so there was no need for him to pick up that often. We agreed beforehand where I would drop my bottle. This was mistake number one as the place we agreed was not far enough away for me to drink very much. In hindsight I should have just dropped it later and told Phil as I was running past him but its hard to have a conversation when running. ﻿﻿Set off at what felt like a comfortable pace but the garmin was saying too fast. I find pacing hard on hilly courses as some miles will be faster and could cause panic but shouldn't if it has down in. Other miles will be slower if they have uphill and so could also cause panic. Mistake number2. Rather than looking at my mile splits I should have been looking at laps and worked out in advance what I should have been doing. When I have tapered my legs are a bit too fresh and I have a tendency to start too fast. The same happened last year, I just gradually slowed down. No wall hit or anything just slowed at a fairly gradual rate so I was not too concerned by the odd faster mile. However, in reality it wasn't just the downhill parts that were too fast the uphill ones were too. Mistake number 3. I was running with other people so was not taking that much notice of my mile splits. 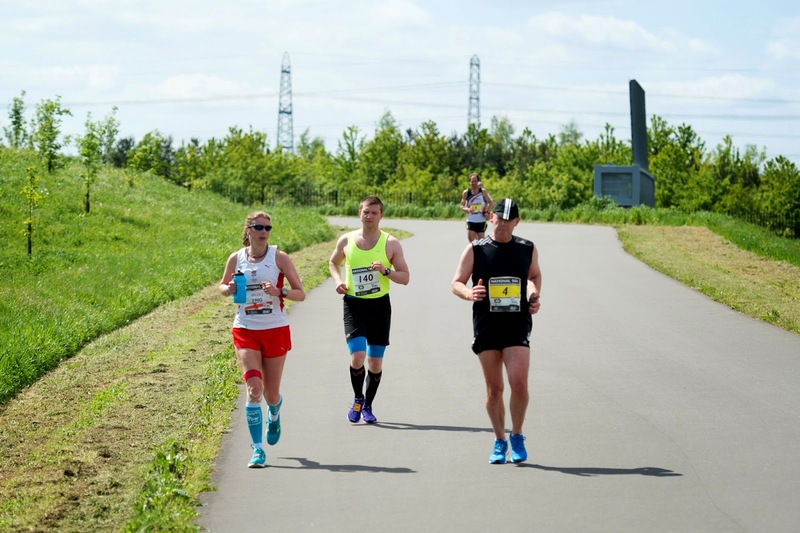 If I had been on my own I would have been focusing more on my splits and realised that the uphills were too fast as well and possibly have taken that as a warning to slow down. 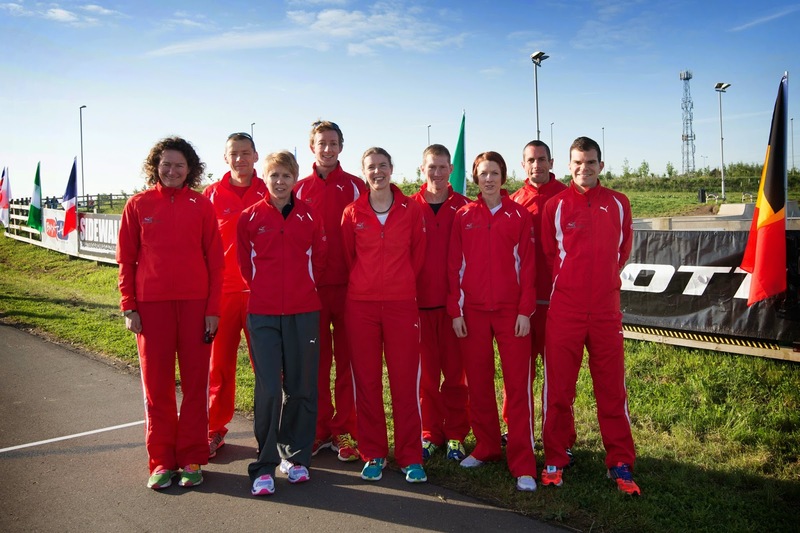 Whilst it was nice running with others and having a bit of a chat I was quite relieved (in more ways than one!) 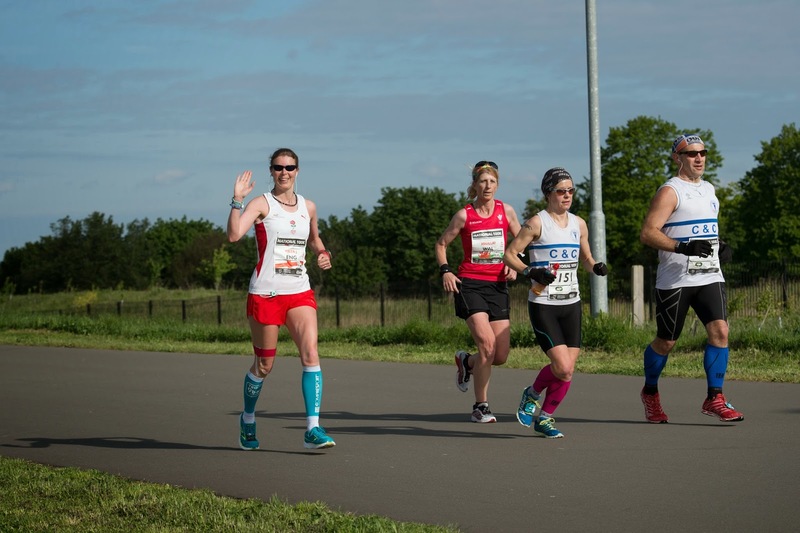 when I needed to stop for the toilet as then I was able to run on my own and focus a bit more on food/drink/pace. 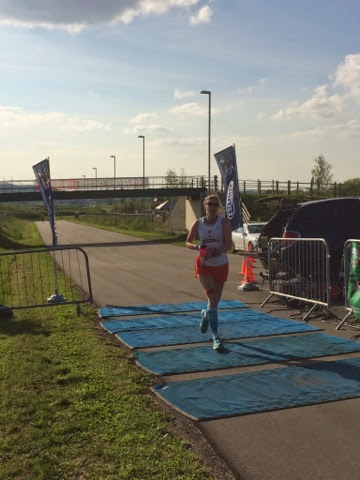 I am not used to running with others in races (apart from the off road navigation type) so being on my own meant I could now tune in better to what I was doing. I realised that I had probably not eaten enough and now started taking my bottle both laps. My pace was still good but was slowing a bit, no more than I would expect after the fast start. At about 20 miles I suddenly felt really dehydrated, looking at my splits I can see that I started to slow more a couple of miles before. From 20 miles I decided that in order to get in enough fluid I would just have to carry my bottle for the lap. After drinking about half fluid was starting to slosh in my stomach so there was no point drinking any more despite feeling really thirsty I would just have to try to catch up gradually. Now I was on my own I was assessing every so often how I was feeling. Mistake number 4. I was asking myself how I was feeling on the flats, the effort was feeling about right for the distance when on the flats but in reality something like 1/5 of the lap was uphill where I would have been working harder so really I ought to have taken the flats a bit easier to cancel out the harder effort on the hills. Went through marathon distance in 3.38 feeling quite comfortable. This was about the same as last year so I was pleased with that, if anything I thought the first marathon was more comfortable than last year so that would hopefully mean my fade later would be less. 50km was again a similar time to last year so all good still. Then it all started to go a bit wrong. Somewhere around 35 miles just as I was getting towards the top of the hill each time my foot hit the ground I had shudders going through my body, like vibrations, it was really horrible and a bit scary as I didn't know what was happening. It lasted less than a minute then went away. On the 3rd time of it happening it didn't stop when I got to the top of the hill and I also felt really light headed and quite unwell. I started to walk (my first walk) and saw Walter, the England team manager who was walking the course. He said to jog to the aid station so I started running again until I got to the bottom of the hill when I really didn't feel I could run it. A lady started walking with me, said I was looking really wobbly then Walter appeared again. There was no way I could manage over 20 more miles like this. Decided I would take on some food have a walk and see how I was after a bit of a break. Previously I had shouted what I wanted and Phil would have it ready next lap so I never had to stop. This time I stopped, I was desperate for a gel, gels are not that nice so I must have been in a bad way to be desperate for one! Had the gel, some Jaffa cakes and took a carton of chocolate soya milk to drink whilst walking. Darren walked with me for a while but must have been fed up with my moaning as he soon left me. Was dreading having to run again so had a decent length walk then waited until I got to the flatter bit before giving it a go. Rather surprisingly, once I started running again I felt fine and was back to running more or less the same pace as before. Obviously by now I had lost a lot of time but at least I now felt I could finish and was feeling quite good again. I had one more sugar crash, cant remember where but I was fine going past the aid station then all of a sudden I was desperate for a gel again I just needed the sugar now. Again I stopped at the table as I needed to get something in quick, the rest of my gels were in a box not on the table as I hadn't expected to need them so I grabbed a crunchie, some coconut mushrooms, soya milk and asked for more coconut mushrooms next lap. After that I ate something small at least alternate laps. Around 50 miles I had quite a tight spot in my left glute. It wasn't massively painful but it was annoying me so I stopped for a bit of massage from the team physio (Brian Cole), its amazing how much difference a couple of minutes can make when the phyiso knows what they are doing. Apart from the walk I had when I had the wobble I had continued to run the whole time. With 5 laps to go I decided I would allow myself to walk the hill. I didn't need to but was tired and having a walk break to look forward to was nice. Also, since I was no longer chasing a time a few minutes added per lap didn't really matter. 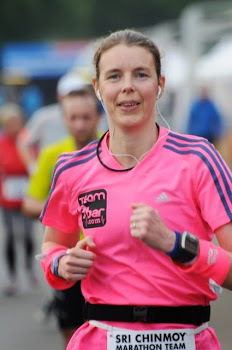 On the last lap I ran the hill and did attempt a sprint finish but it was more a sprint in my head! Was very happy to get that one done. My finish time was 9.29. Last year on an easier course I did 9.11. I am disappointed as I was fitter this year and my training suggested I should do better. Lots of people got PBs so I cant blame the hill too much although many of those who did PB are more used to hills than I am. I think that a mostly it was due to the mistakes I talk about above. I was just not focused enough during the first few hours on pace/food/drink and then it is difficult to rectify that.